Bala Parthasarthy, managing director, Asia Pacific and Latin America, Snapfish-Hewlett-Packard, one of the world's leading online photo services sites, moved to Bengaluru about three years ago after 20 years in California to commence the firm's operations in India and run the business in other countries. An Indian Institute of Technology-Madras and University of California alumnus, Bala is one of the four founders of Snapfish. After toying with several ideas, we decided on a photo-sharing site. The idea was the brainchild of Sumeet Wadhwa, one of the founders, who was very interested in photography. 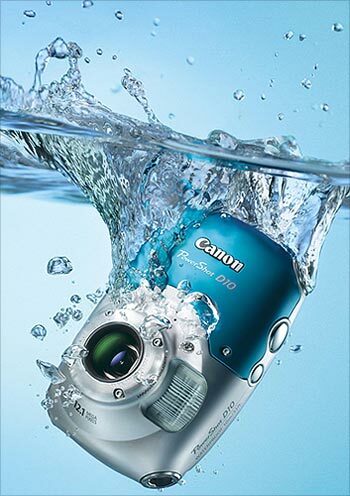 When we started Snapfish, a two megapixel digital camera for $600 in the United States was a geek thing to own. We started with people sending us film rolls that we would process and send back the prints and original rolls, while also scanning those pictures and putting them online. Then digital cameras came along and killed the film camera market. We adapted ourselves to this change and grew. 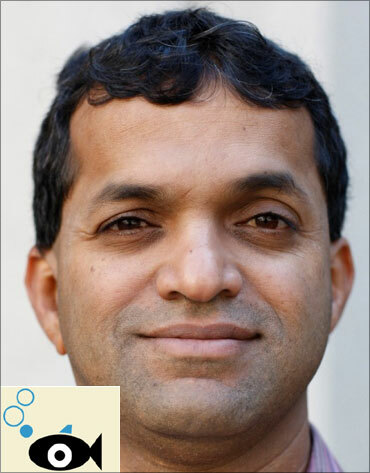 Image: Bala Parthasarthy, managing director, Asia Pacific and Latin America, Snapfish-Hewlett-Packard. (Inset) SnapFish logo. How is it being a part of a large organisation like HP after being a serial entrepreneur and running your own show? Starting and running Snapfish in India and other parts of Asia Pacific is like running a start-up. Though HP provides Snapfish a brand umbrella, we work quite autonomously at Snapfish. How is Snapfish doing in India? We launched in India about two-and-a-half years ago and have about a million registered users. The market is very healthy. There is a lot of potential for growth as digital camera, smart phone and broadband penetration increases. With the advent of 3G in India later this year, this could be a big opportunity. We continue to bet on India's growing adoption of digital photography, Internet adoption and social networking. The Indian digital printing industry is projected to grow to $17 billion this year. Bengaluru is a very happening, multi-cultural city and the current entrepreneurial energy here reminds me of Silicon Valley 10 years ago. 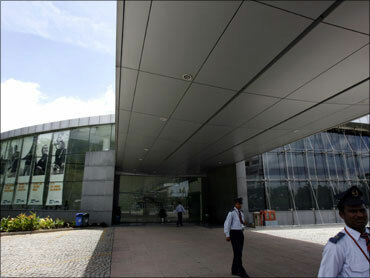 Image: Security guards walk in the SAP India labs campus in Bengaluru. What are your primary challenges in the Indian market? Currently there are less than 10 million digital cameras in India. Broadband penetration is relatively low and eCommerce is nascent. There are so many laws that businesses have to adhere to for functioning in India; tax calculation for shipments is a nightmare. How do you plan to penetrate the Indian market? We have formed strategic partnerships with eBay in India, Indian Railways, Huggies, Indiatimes and others. Travel and family events are the major photo opportunities and we are collaborating for tapping the opportunities there. We also increased our penetration via acquisition of Merasnap.com. Over 100,000 customers migrated to the HP Snapfish in India in May 2008. We have exclusive integration with Flickr worldwide to provide members with a wider range of photo printing and gift creation options using their existing Flickr photo stream. For the next year or two, we are concentrating on extensive media outreach and high-yield partnerships. You will hear more about our partnerships in the coming months. Besides online advertising, we are branching into targeted offline marketing. Our marketing strategy in India is very different from what we have practiced in other parts of the world. Unlike the United Stated where young moms make 85 per cent of our user profile, in India the ratio is 50 per cent men and 50 per cent women who are Internet savvy with a disposable income to spare for hobbies and a desire for social mobility. 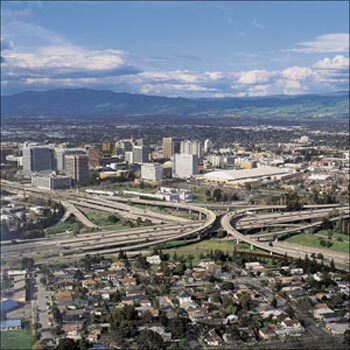 Image: A panoramic view of the Silicon Valley in California. What have you learnt about the Indian market and Indian consumers? India is a very price-sensitive market and our best value proposition is the highly competitive pricing of Rs 2.95 (7 cents) for a 4X6 print. Besides a great price, we also provide great quality, brand and free shipping. For cellphone users, Snapfish can be accessed from a Sony-Ericsson phone via an app. We also have an iPhone app, and others are in the works. The world is moving towards camera phones. Having a good set of solutions for camera phones is vital. We have had to customize to the local demands like providing a photo album with the prints. Indian customers demand prints in an album, as they have been getting that service from brick and mortar photo retailers. Since Snapfish is a global company, we offer a seamless integration experience to our users. For example, a user registered in the US can log on to the India site with the same username/password combination and pay in rupees and vice versa. Snapfish Publisher is the other large initiative this year that serves as a platform for individuals and companies to market and sell their creative designs, merchandise and services. What is your competition in India? Retail is still our biggest competition in India. eCommerce is burgeoning. We cannot get ahead of the market, as eCommerce matures, we will grow.